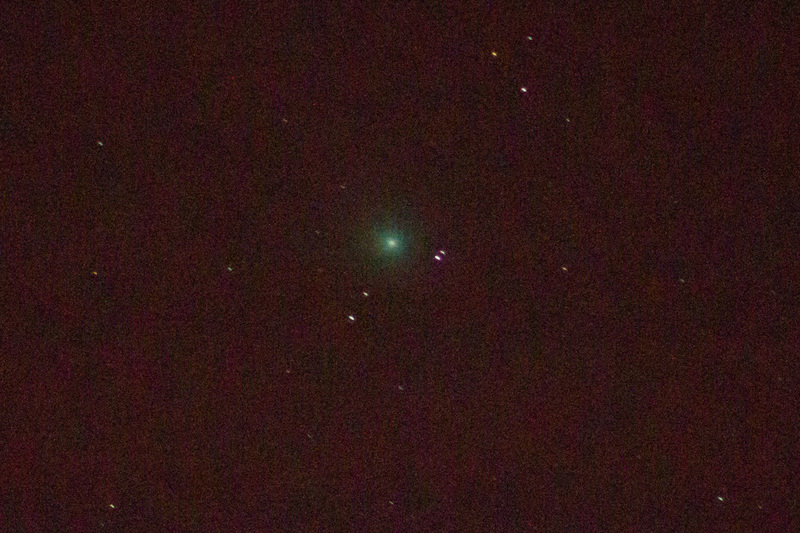 It’s amazing what you can see with a CCD camera and a 70-300mm lens. Crank up the ISO, set the exposure to no longer than a second to avoid star trailing and feint objects will magically appear – even on a moonlit night. The greeny glow of comet Lovejoy is still visible this January sweeping to the right of the Orion Nebular in an upwards direction this January 2015. Here’s how to spot it. Here are the moons of Jupiter. I’ve seen them many a time through binoculars but this is the first time I’ve managed to photograph them. 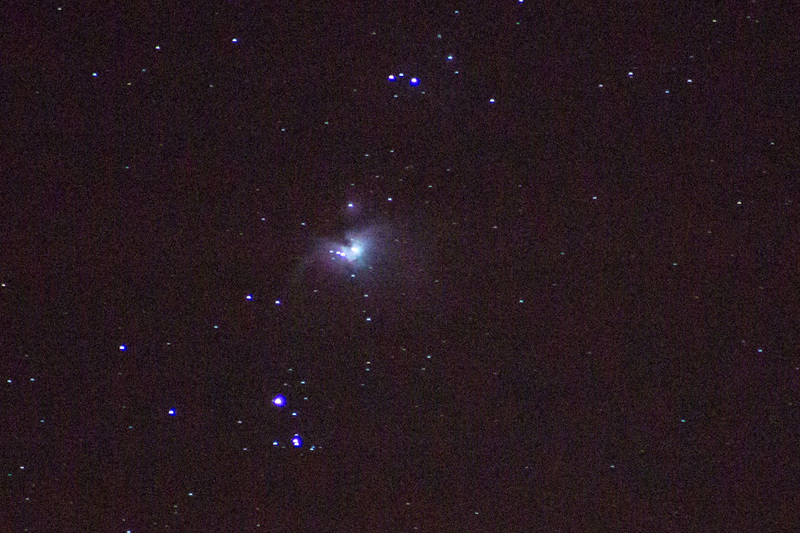 This is the Orion Nebular which I had no idea you could actually see it. It covers quite a wide field of view almost as much as the full moon.